The broadly published report of the voyages of Captain Cook quickened the concern of evangelical Christians for the people of the Pacific islands. In 1820 the brig Thaddeus off-loaded the first company of “Boston missionaries” and Hiram Bingham chose as his text for his first service in Honolulu, Fear not, for behold, I bring you good tidings of great joy, which shall be for all people. Just a few years later, on the Big Island, Congregational missionary Lorenzo Lyons baptized 1,700 new believers in a single day. 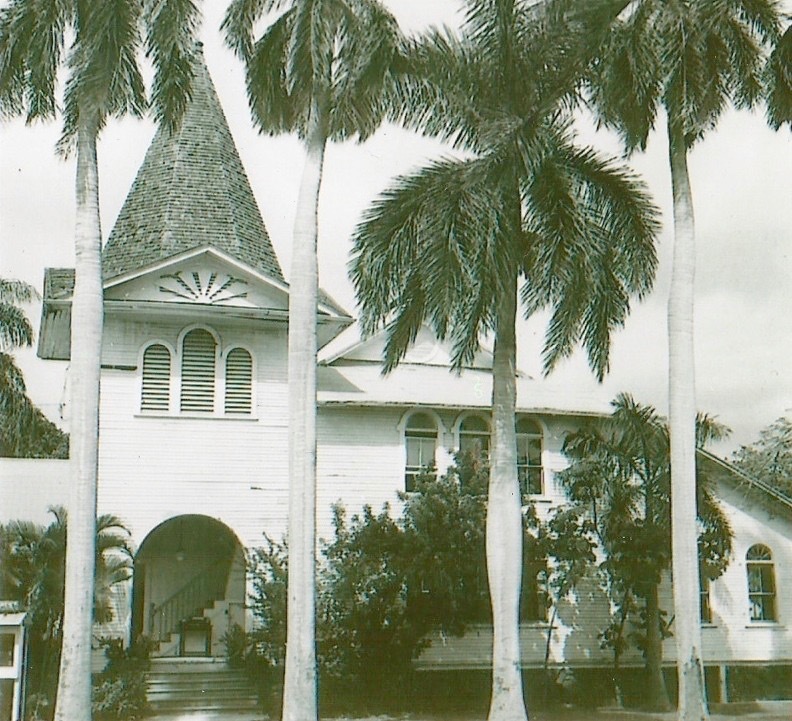 As a part of its 25th anniversary celebration in 1929, Makiki Christian laid plans to purchase a much larger lot a few blocks seaward, and Pastor Okumura fulfilled his dream of building – to the glory of God – a church building in the architectural tradition of a Japanese castle. The “castle-church” was dedicated on November 6, 1932. The members of First Baptist Church of Honolulu are grateful “for all the saints who from their labors rest,” and particularly for those who first planted the seeds of the Gospel on the corner of Kinau and Pensacola. Each member of First Baptist should find opportunity to visit Makiki Christian, its “older sister church, to study the richness of the symbolism of the building and to experience the commitment and aloha of those who worship within and witness without. 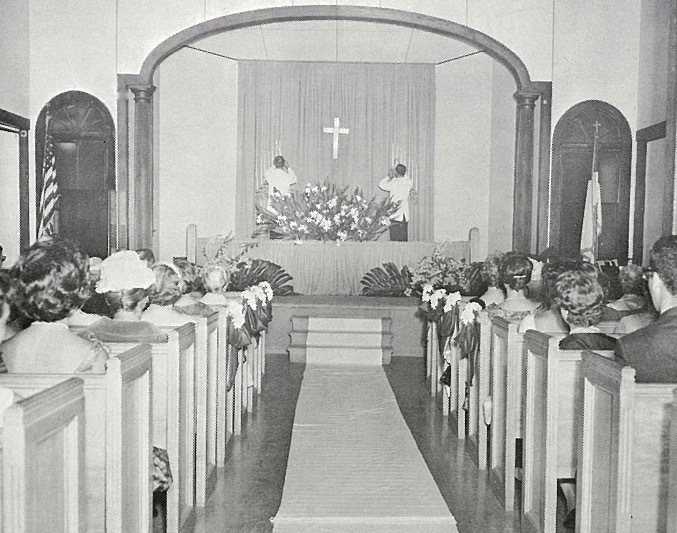 Until 1927, most of the Baptists transplanted to Honolulu worshipped with the Disciples of Christ (who organized in 1894) or with one of the many Congregational churches. In those days, the major denominations honored the International Comity Agreements which sought to minimize evangelistic competition within areas of the world already churched. Hawaii was considered Congregational territory. Thus, in 1927, when a few Baptists began meeting for Bible study, prayer, and fellowship, they received no encouragement from denominational headquarters, and some official opposition from among the established churches of Honolulu. The embryonic church expired within a year, but the movement resurfaced in 1929 as Baptist believers continued to seek a free and satisfying expression of their faith. 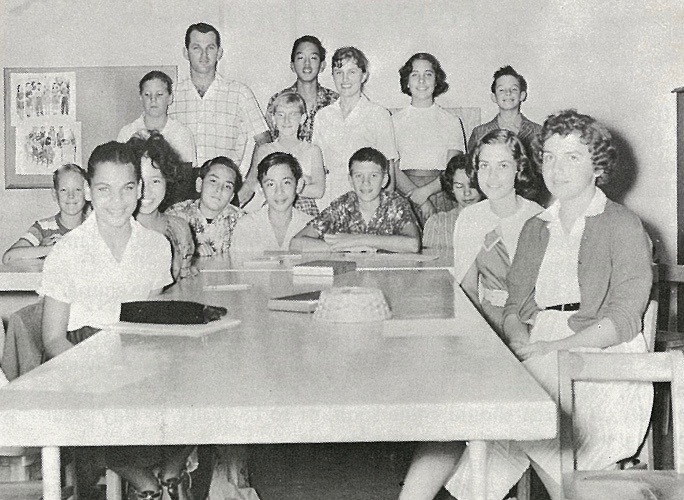 They called an organizational meeting on February 12, 1930, at the auditorium of Kuhio School. 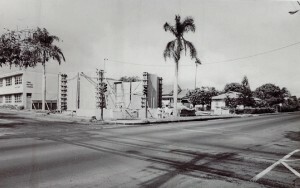 Records of the meeting, including the names of those present, have been lost, but the Charter filed with the Territorial Government pinpoints the date of February 12, 1930, as the official beginning of the “First Baptist Church and Bible College of Honolulu, T.H.” Unfortunately, there was little demonstration of unity in this new Baptist body of believers, and after two years of regular meetings at the Ka`ahumanu Elementary School the congregation had gained little more than a reputation as “a group of fighters.” If the church was to survive, strong and positive leadership was needed. Through God’s grace, that need was met, if only briefly, in the summer of ’32, with the arrival of Dr. John M. Dean. A member of the Albany Park Baptist Church of Chicago had visited Honolulu in 1931, and had returned to tell the story of the leaderless little flock. As a result, Dr. and Mrs. John M. Dean were granted a leave from Albany Park to spend a few months assisting the Honolulu congregation. 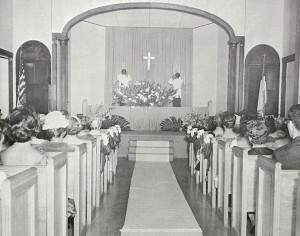 Between April and September 1932, Dean’s experienced leadership as first pastor brought the sense of direction and enthusiasm which had been needed. Under his leadership the name was changed to Calvary Baptist Church “in order to avoid the poor reputation already developed in Honolulu.” Jacob C. Ziegler was elected lay leader. He had been with the congregation from the beginning and would continue to be a main-stay for years to come. The first baptismal service was held at Waikiki Beach on June 12, 1932, and a new member by transfer, Charles J. McDonald, a man of considerable Baptist background, was licensed to preach. 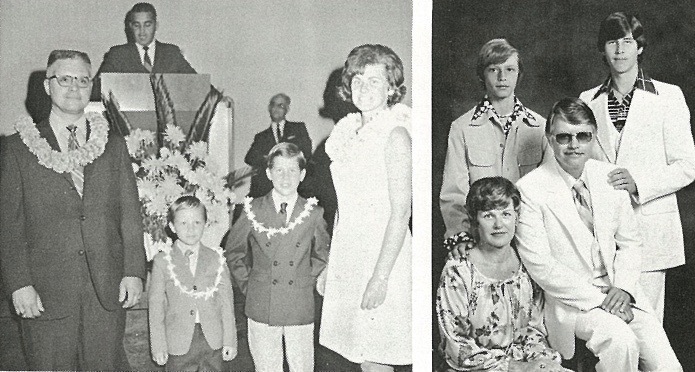 (Soon McDonald would serve as the second pastor and, a few years later, would become one of the leaders in the establishment of Southern Baptist ministry in the islands.) Discussions were held with the Makiki Christian Church regarding the soon-to-be-vacant building at Pensacola and Kinau. An agreement was reached to rent it for thirty dollars a month, an arrangement that would continue until 1938, when the property was purchased for $5,700. Another legacy of Pastor Dean’s short ministry here was the strong recommendation to establish a connection with a mainland Baptist denomination. Dean initiated correspondence with Southern Baptists, but nothing came of the overtures. In 1934, Calvary Baptist was contacted by the General Association of Regular Baptists (GARB), and the Rev. Edward M. Shipman, an able minister of that background, served the church from 1934 to 1945, the longest tenure of any pastor to date. Despite Shipman’s own ties with the GARB, no organizational connection developed. Finally, discussions were held with the American (then called Northern) Baptists of Southern California, which came to fruition shortly before Pearl Harbor. *Shipman served from 1934-35 as Assistant and Acting Pastor, then from Oct. 7, 1935 as pastor. **DeGraff served first as Acting Pastor, then as Missionary Pastor under Rowland. Calvary Baptist Church weathered World War II pretty well. 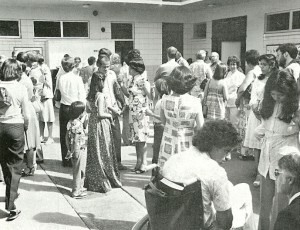 Under the steady guidance of Pastor Shipman, it had grown in numbers and in favor with the community and with the other churches in Honolulu. The wartime influx of civilian and military personnel had brought many new members. 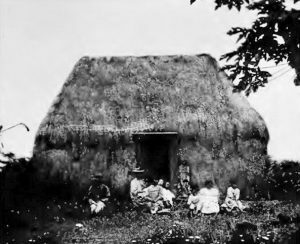 Further, the old reputation of being a haole church had been mitigated by the entry into fellowship of an increasing number of “local” people. War’s end meant that many members would transfer “back home.” Among them were Pastor and Mrs. Shipman, on leave of absence for rest, that later became termination. The next three years were difficult. With no continuous experienced hand on the helm, the church was not able to cope creatively the with pain of the same theological controversy which swept through Baptist churches across the county, and which would result in the separation of the Conservative Baptist Association from the parent denomination. The acrimony arising from this factionalism drove away many of Calvary’s Asian members, who sought out churches where they could feel more warmth and acceptance. With alarm, the Southern California Baptist Convention investigated allegations of financial mismanagement and concluded that Pastor Barrett should leave. Three years of charges and countercharges marked by dwindling church attendance went by before Barrett resigned in 1954, and Dr. Harold Fickett, Sr. was sent from California to “close the work.” Instead of closing the church, “Dad” Fickett was so impressed by the opportunities that he initiated a course of action that led to the most expansive and optimistic period in the church’s history. 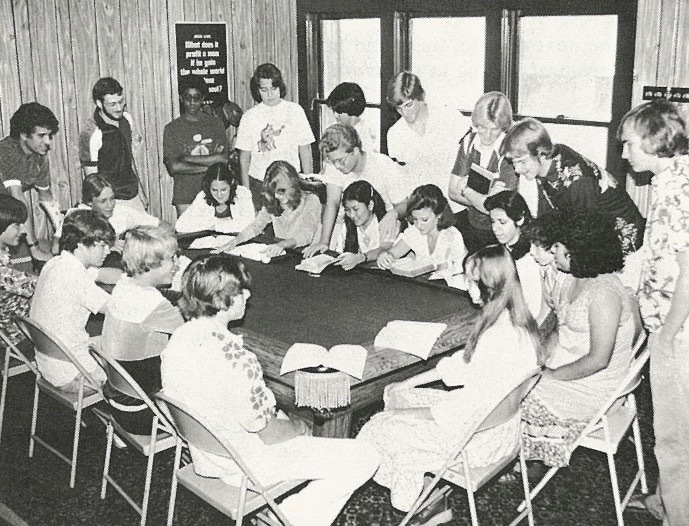 Upon the recommendation of Dr. Fickett, the Honolulu congregation – after twenty-five years of existence – become a “mission church” of the Convention. A condition of the agreement called for changing the name back to the original First Baptist Church of Honolulu, again in an effort to portray a fresh image to the community. Also at Dr. Fickett’s urging, Robert Bradford accepted the pastorate, “against the advice of all my minister friends”. The present sanctuary was completed during the pastorate of the Rev. James Ledbetter. Windows were omitted from the handsome octagonal structure partly because it would be completely air conditioned, and partly because the traffic on Pensacola, still traveled both ways. The deafening noise of buses and trucks shifting hears and beginning the uphill climb had become a serious obstacle to worship. In addition to being the pastor “who built the sanctuary,” Ledbetter is remembered for his ability to bring together a broad spectrum of diverse peoples. One activity was a popular international ministry to students from the East-West Center at the University of Hawaii, Manoa. Jack Knighton served as pastor from 1965 to 1969, during which period the church opened the Day Care Center which continued to thrive, providing a needed service and evangelistic witness to children and parents in the neighborhood. 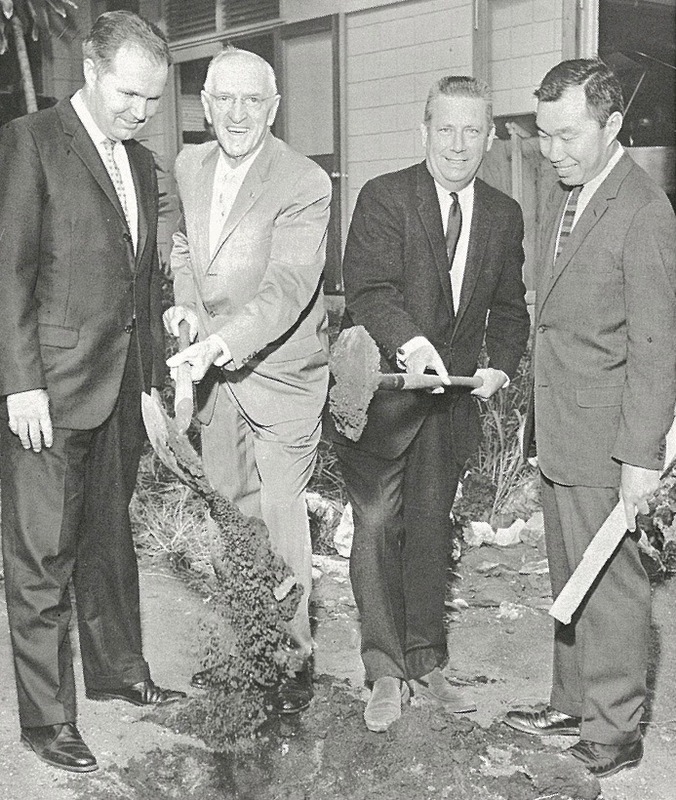 Groundwork also was laid which later would result in welcoming the Trinity Missionary Baptist Church of Aiea into organizational fellowship with the other four churches of the Hawaii Association of American Baptists. Truly, the fifteen years from 1955 to 1969 had been a time of advancement. 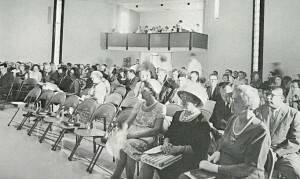 Hundreds of persons came to know Christ personally through the direct and extended witness of the members of First Baptist. Hundreds more found a warm “home away from home.” Unfortunately, most of these people were military or civilians on short-term assignments who were rotated somewhere else; beneficiaries of a “ministry with a revolving door.” As pastors came and went, and as money became tighter and tighter, the feeling grew that this period of expansion had included some over-expansion. As the First Baptist Church of Honolulu celebrates its 50th anniversary, Dr. William Tipton celebrates his tenth as pastor. 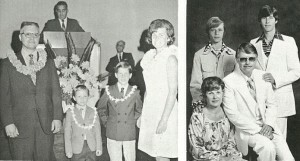 “Pastor Bill” arrived in Honolulu when the church – and, indeed, the entire Association – was in need of consolidation, stability, solid administration, and re-evaluation of goals. These were challenges which fit Bill Tipton’s interest and training like hand in glove. Within the entire American Baptist family, there had come, during this decade, a more realistic understanding of the problems as well as the opportunities of ministry in Hawaii. One thing that became clear was the fact that the transient nature of congregations would make it difficult for the newer churches to achieve financial independence, nor could the Board of National Ministries be expected to continue to assist indefinitely. Problems of finance and leadership become so pressing by 1977 that plans for regrouping became imperative. As a result, the Pearl Harbor congregation merged with its parent First Baptist Church in January, 1978, and its property was made available to the Trinity Missionary Baptist Church. First Baptist, Windward, weathered a split, and came to the end of the decade with new leadership and a careful optimism. 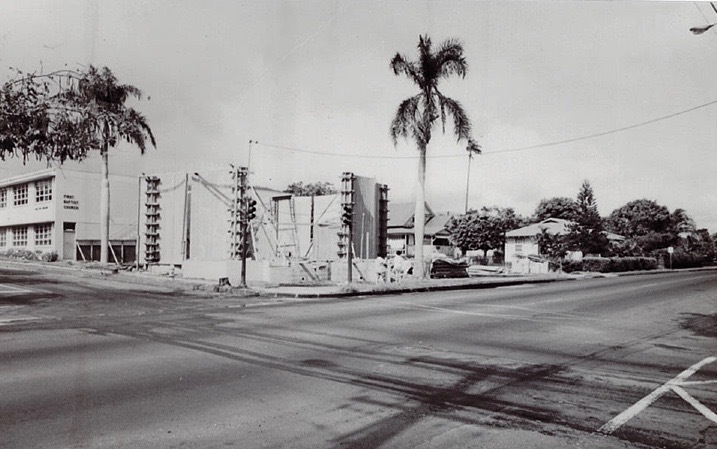 In Ewa Beach, the work virtually died out in the late Seventies, but reorganized for a new start, with closer ties to the Regions’ office and National Headquarters. Pastor Tipton had been instrumental in this time-consuming process of consolidating and maintaining our American Baptist witness on Oahu. At the same time, First Baptist had given serious consideration to its own role and mission. Perhaps the four most significant trends during the decade had been: (1) the growth of a well-trained team of Lay Ministers of Evangelism, (2) the development of a specialized ministry to single persons, called Positive Christian Singles, (3) the increasing understanding by the members that responsible stewardship by the Lord’s people is the most efficient and effective way to support the Lord’s work, and (4) a marked growth of participation in the life of the church by persons of a variety of ethnic backgrounds.